Protect and enhance your well-loved Apple iPhone 3G / 3GS smartphone today. The iPhone 3G's construction is less sturdy than later iPhone models, which means it needs more of the protection a case can offer. 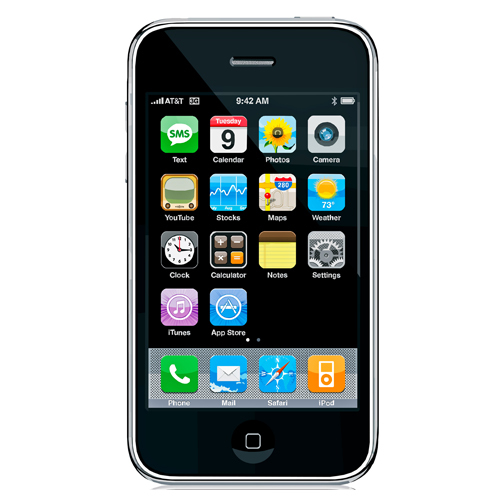 In addition, if you have accessories that have gotten lost or broken, or just want new accessories for your iPhone 3G, we can help you replace them. CellPhoneCases.com offers a huge selection of high-quality cell phone accessories at exceptional price. Come browse our Bluetooth headsets, Bluetooth keyboards, capacitive touch styluses, handsfrees, protective cases, custom skins, travel chargers, car chargers, USB data cables, micro-HDMI cables, speakers, stands/holders and much more. Our prices are so affordable you can buy everything on your wish list.